Go to Mobile AP Settings > Configure mobile AP if you want to put a password on your device. You can also change your wi-fi name so you can easily recognize it on your other devices. Click Save. Check the box for Mobile AP to turn your hotspot on. Done! There should be a blue wi-fi icon that shows on the Notifications bar. As for speed, it’s only as fast as your connection (I honestly do 190/kbps for p2p which is not bad at all), and then divide that by the number of devices connected to it. If you’re using the USB cable to charge your phone, drop down your notifications bar and uncheck the debugging mode. If you’re getting an error connecting to your mobile Internet, try to turn your phone on and off. So far those are the only issues I’ve encountered. I’ve used this successfully to connect my Windows7 work laptop, my personal Macbook Air, and an iPhone4. 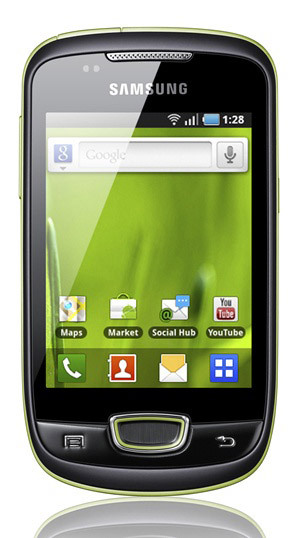 Before buying my phone,, I visited the GSM Arena page of the Samsung Galaxy Mini S5570. Glad I did!